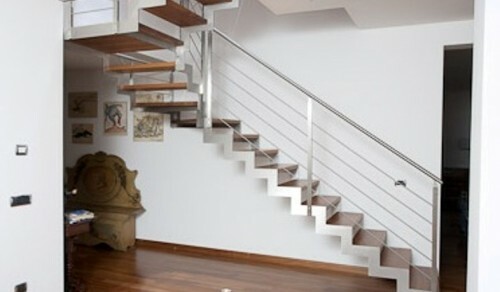 Open stair with open riser. 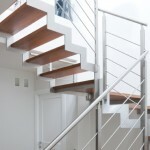 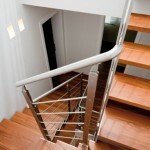 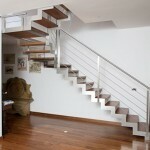 Double load-bearing running structure outside steps, made of satin-finish stainless steel. 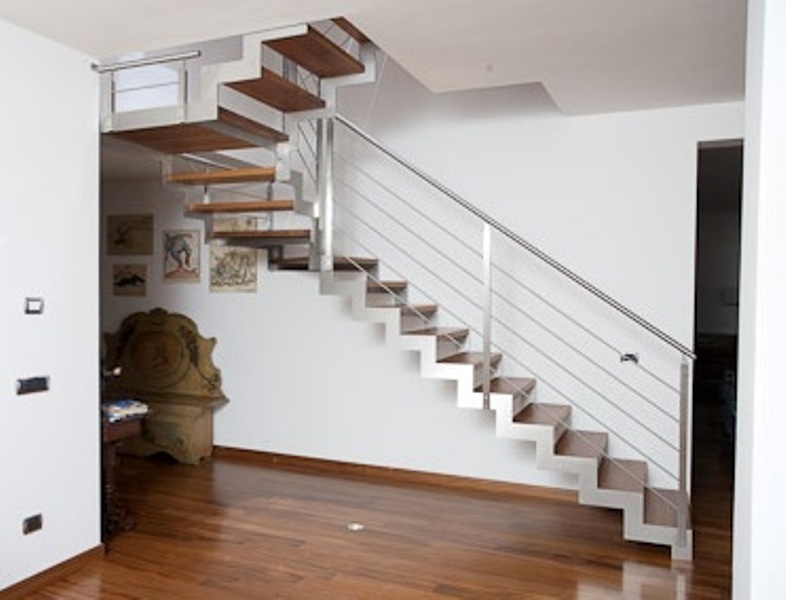 Iroko solid wood tread, natural coloured finish. 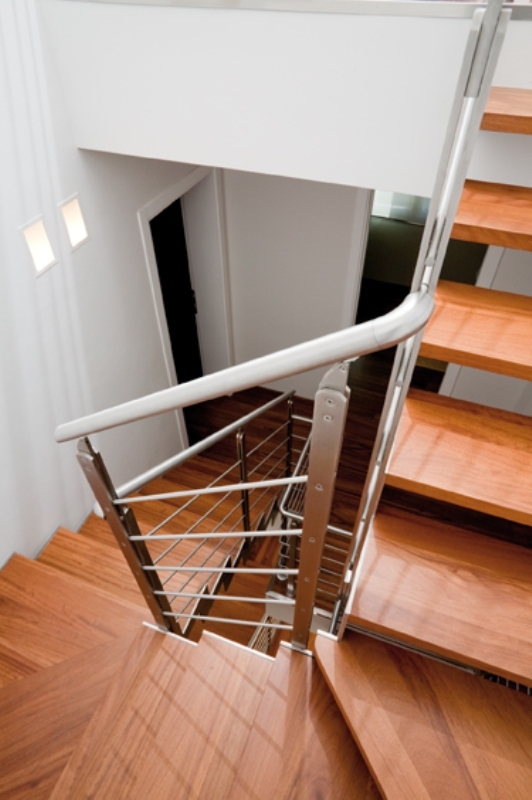 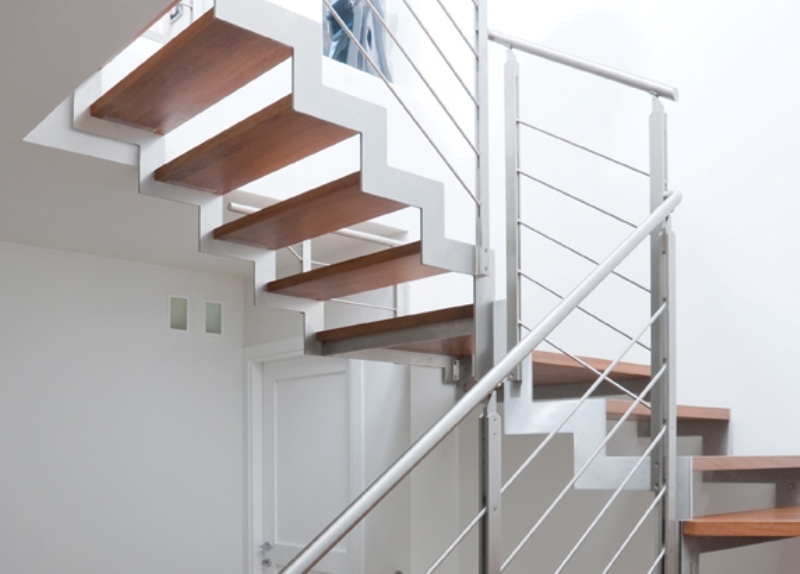 AIR6C INOX banister: 5 satin-finish stainless steel rails, satin-finish stainless steel handrail, spindles with satin-finish stainless steel double plate.